September usually marks the end of summer holidays, the end of good weather and pretty much the end of fun! This year however, September marks something incredibly exciting that I have been waiting ever so patiently for. It’s quite literally the sweetest end to my summer and is possibly the biggest opening of the year! Are you ready for it guys? *Drum roll please*…..
TA DAAAAA! 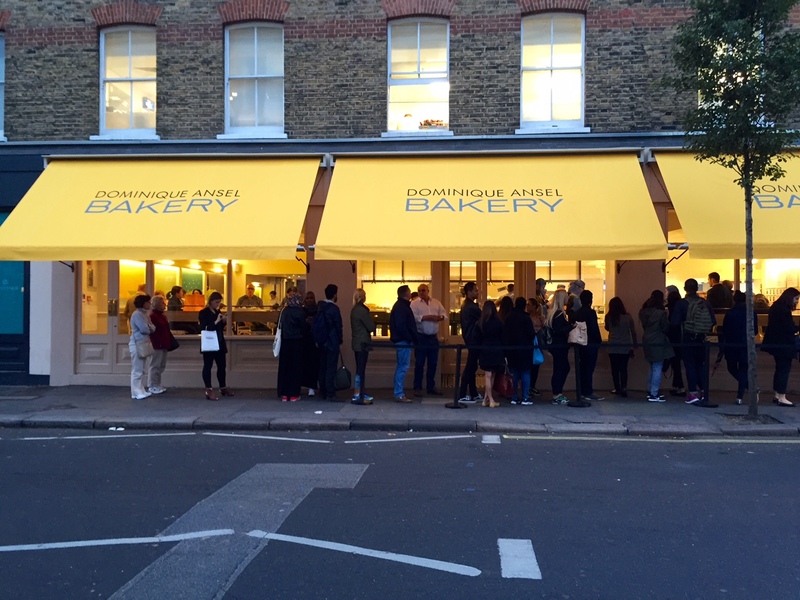 Dominique Ansel, creator of the Cronut has opened up an amazing bakery in London! Yes guys this is real!! 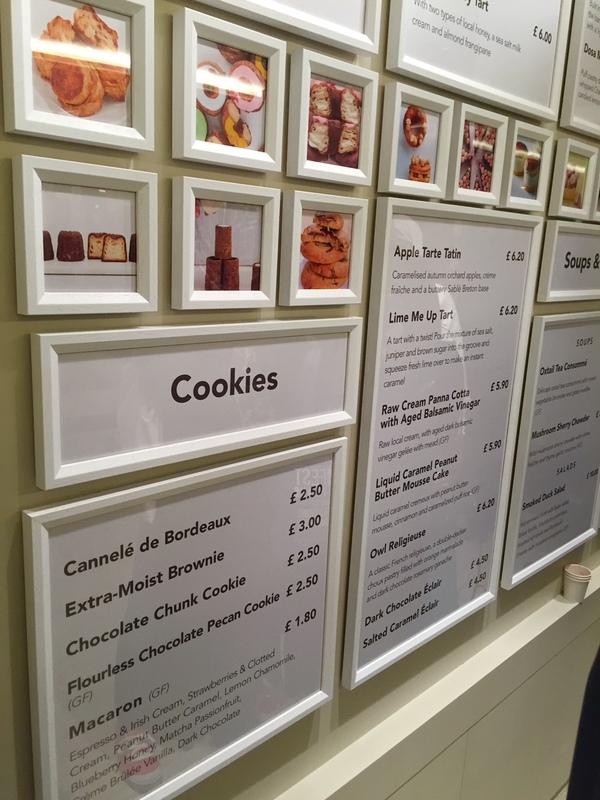 I can’t even explain how excited I was when Domique Ansel announced he was opening a bakery in London and today the day has finally arrived! The queues were LONG but it was 100% worth it. 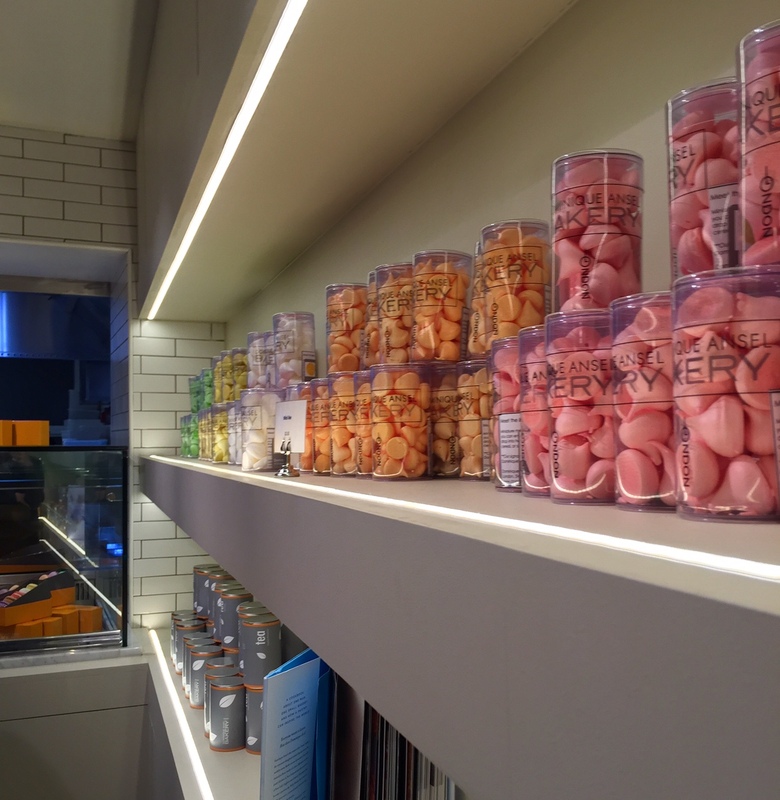 Look how pretty it is inside…. Here’s the man himself!! (I was super calm obviously and totally was not having a fan girl moment at this point hahaha). 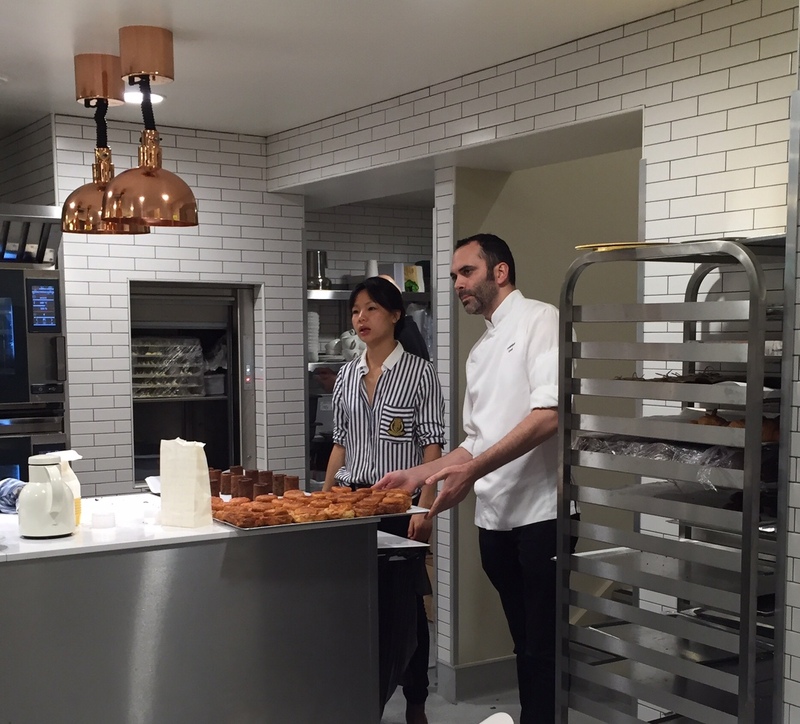 First up of course was his signature Cronut. 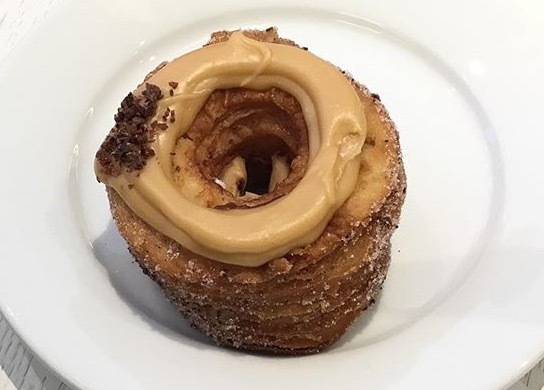 (Mini lesson if you’re not familiar with the Cronut: 1) You have seriously been missing out on life, 2) It’s a delicious croissant-doughnut hybrid). 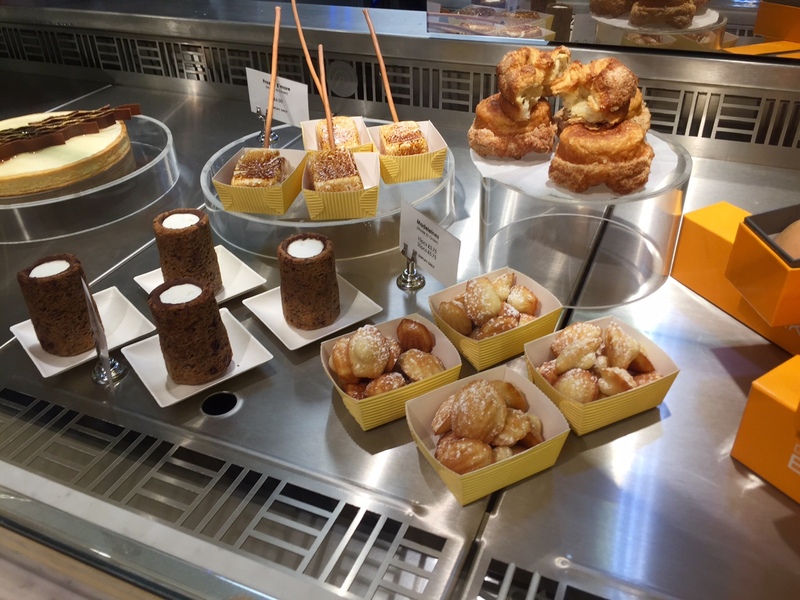 Similarly to his bakery in New York, there is only one flavour of the Cronut pastry every month. This month we have been graced with salted butterscotch and cacao nib. It tasted like a dream! It’s made in-house daily! Once cooked, each Cronut pastry is flavoured in three ways: 1. rolled in sugar; 2. filled with oozing yummy cream; and 3. topped with a creamy glaze. P.S. I had to steal this pic from the DAB Instagram as it looks so good! 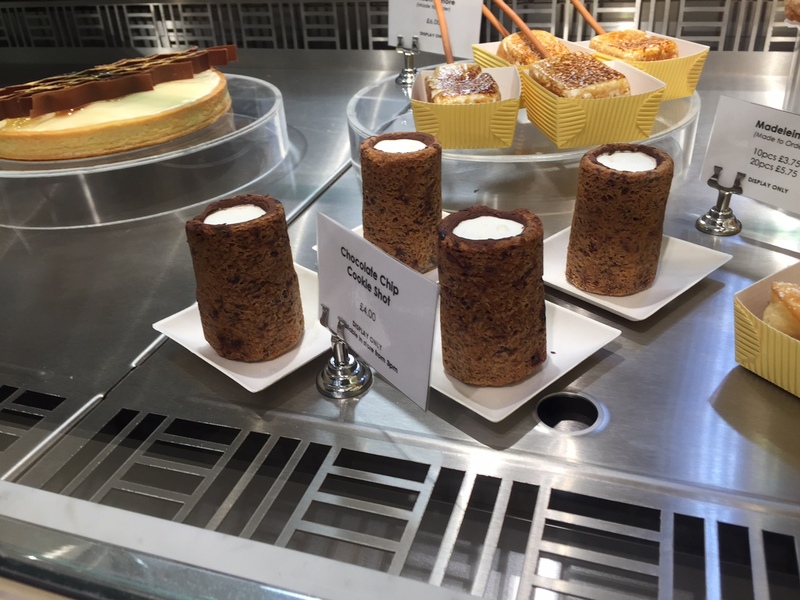 Another one of Domique Ansel’s famous creations is the cookie shot, which is simply milk and cookies! The milk is organic and cold-infused with vanilla beans for 24 hours giving it a subtle sweetness. The cookie was perfectly chocolatey, soft and moist and was still able to hold its shape. Impressive! The fun did not stop! 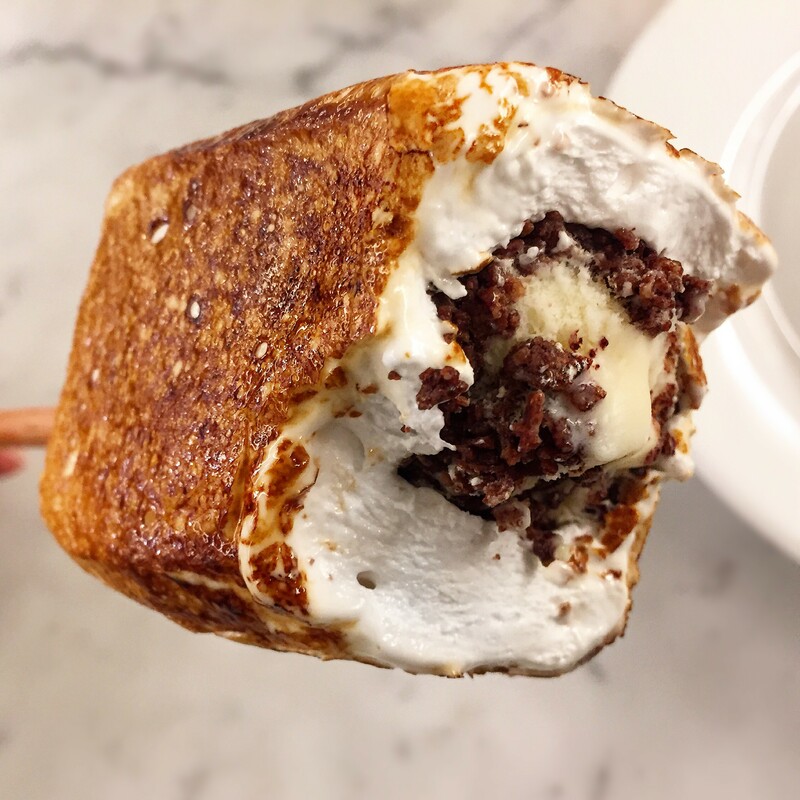 Next we tried his frozen s’mores, which are torched gooey honey marshmallows wrapped around a creamy Tahitian vanilla ice cream with crispy chocolate wafer crisps *omg*. It was amazing! I’ve always drooled over pictures of this and totally wasn’t expecting to be able to try it due to gelatin issues. However, surprise surprise fish gelatin is used WOO. 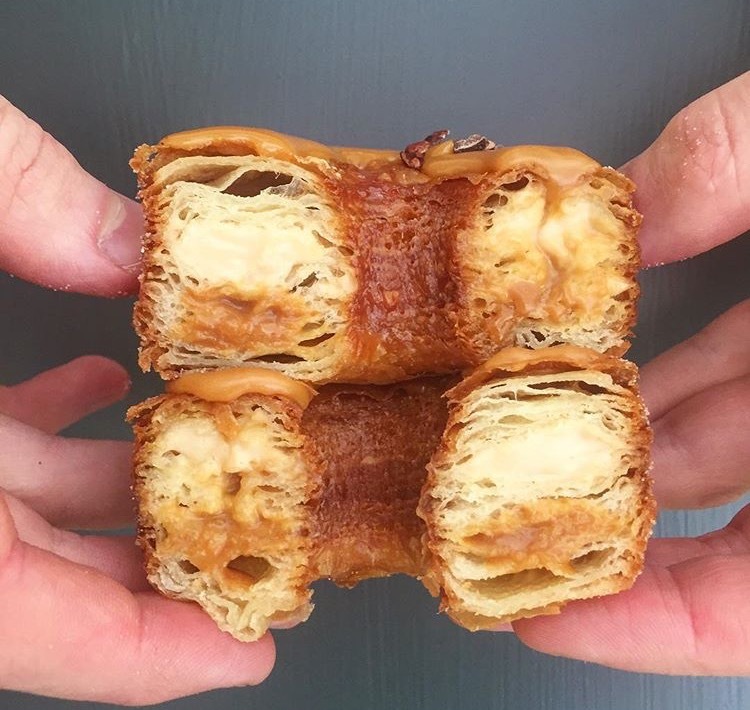 “Dominique’s Kouign Amann”: Caramelised on the outside, with flaky tender layers on the inside! This was so delicious; I ended up buying some more to take home! I have to say I wish it was warm as it would have been even better. I have heard that this is one of the best pains au chocolat you could ever have and unfortunately I would have to disagree. This would have been so much better served warm (shouldn’t it always be served warm?!). I also felt that it had a very hard texture. 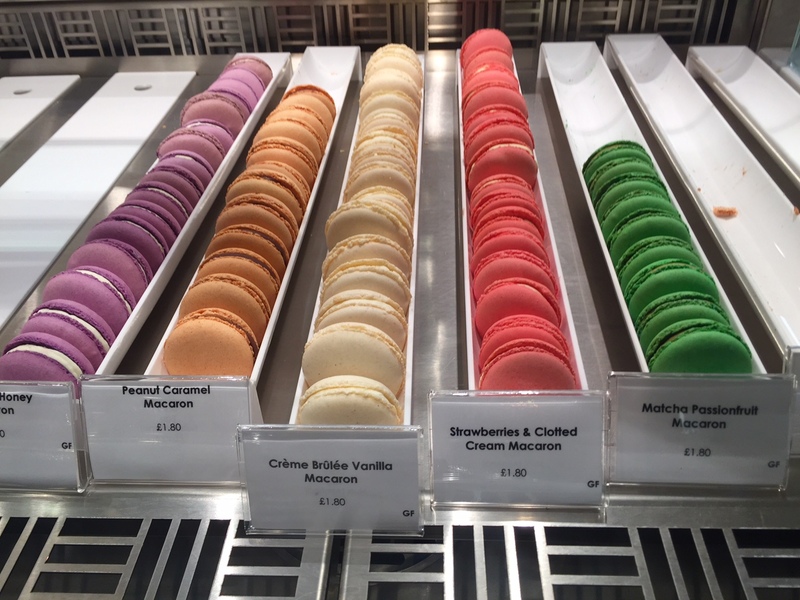 My cravings for French patisserie has started all over again! have you paid your bill here or was this part of a junket for bloggers? I did pay! If I ever receive a free invitation from a restaurant I always mention this at the end of my blog post!